I'm new to PHP and WordPress, but I have some experience with python, for my site I use the traveller theme. 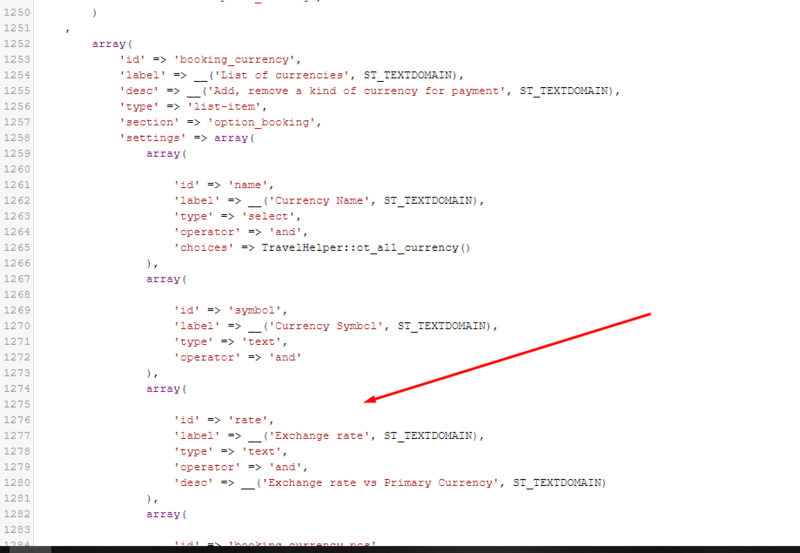 How can I find the exchange rate variable that exists in theme settings (the red square on the screenshot)? I need to change it automatically with another function, not manually via theme settings. What are possible ways to find such variable, or is there any convention where all theme variables stored? Plugin options are normally stored in the wp_options table. 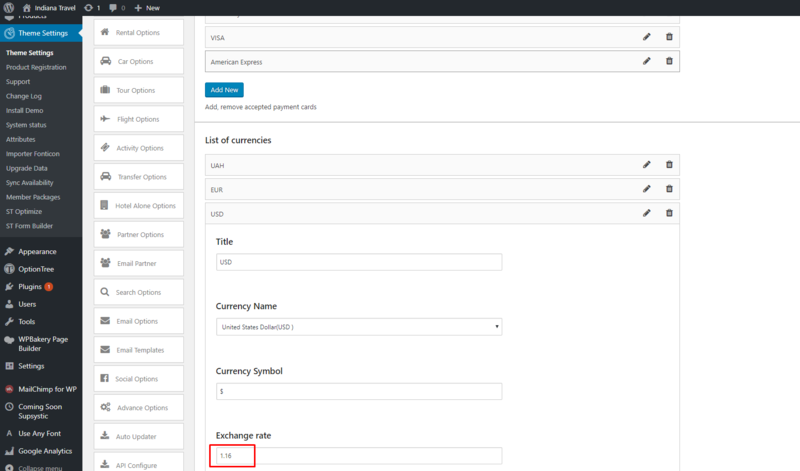 If you look at the plugin code (and reference the Plugin information in Codex; you can start here: https://codex.wordpress.org/Writing_a_Plugin ), you will see how the plugin names the option. Then you can create a function that will change that option value. Note that most plugins store their options in one row of wp_options table, so you will need to make sure you don't bork the other options that the plugin uses. You might also want to contact the plugin's support area, which is the proper place for questions about plugins. Not the answer you're looking for? Browse other questions tagged php theme-options variables or ask your own question. How to export/import theme customizer settings?